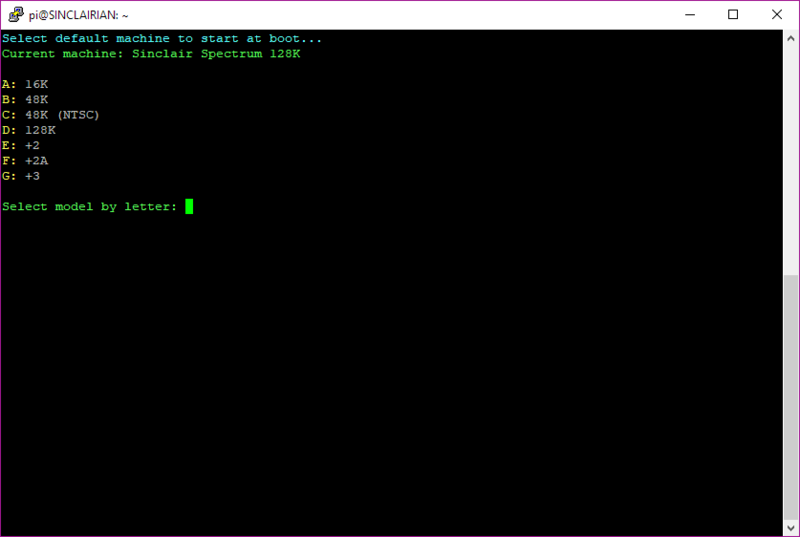 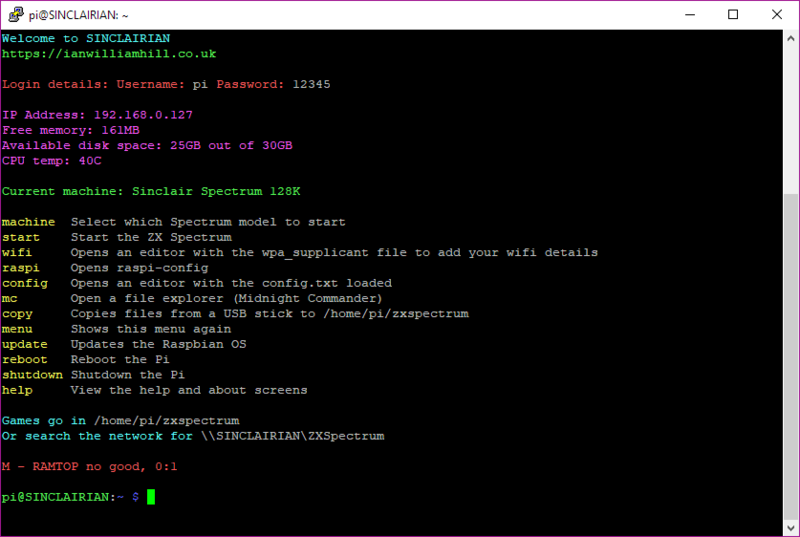 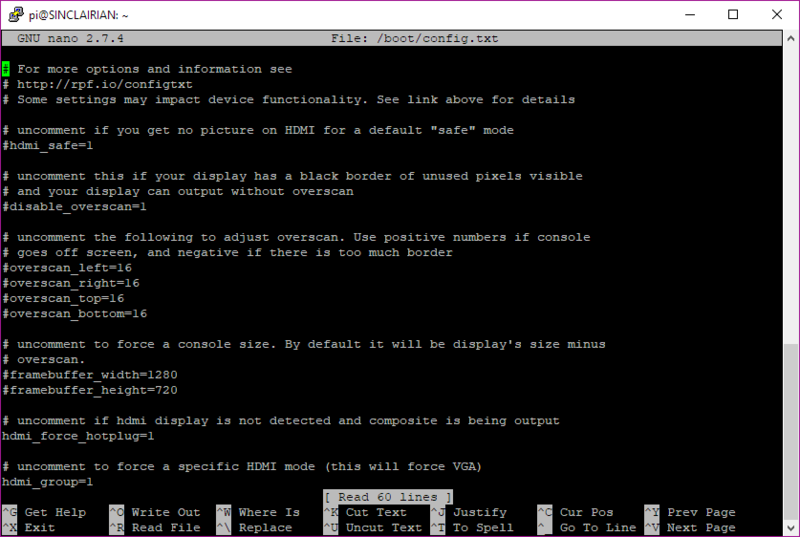 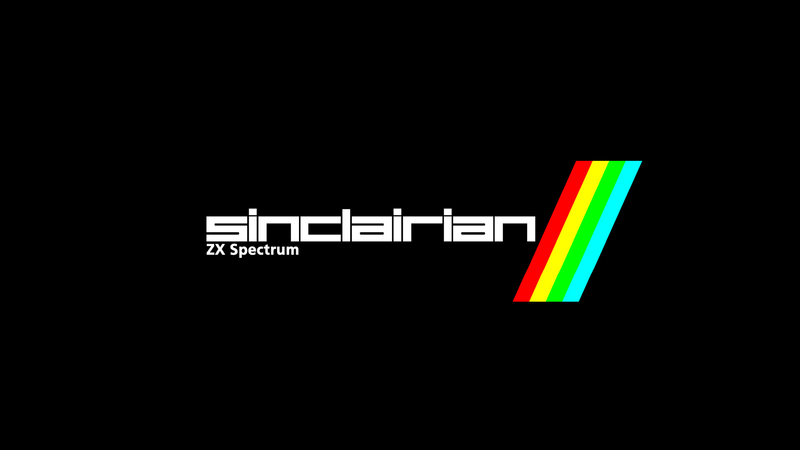 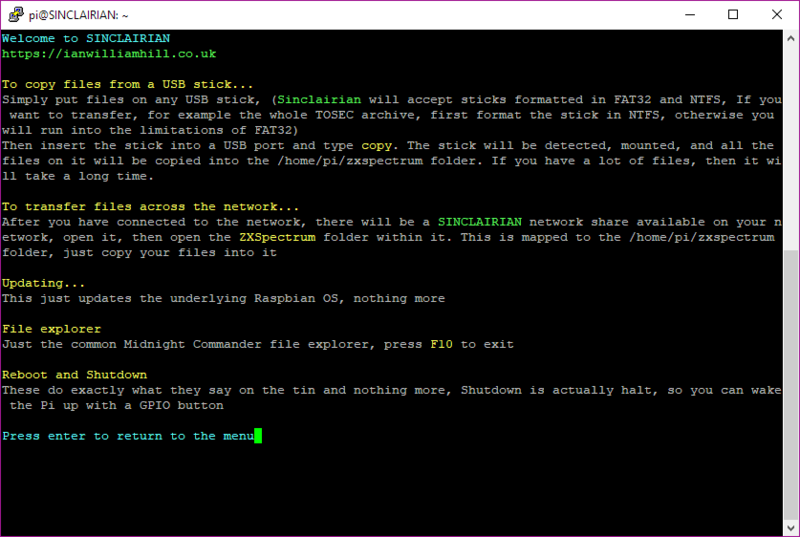 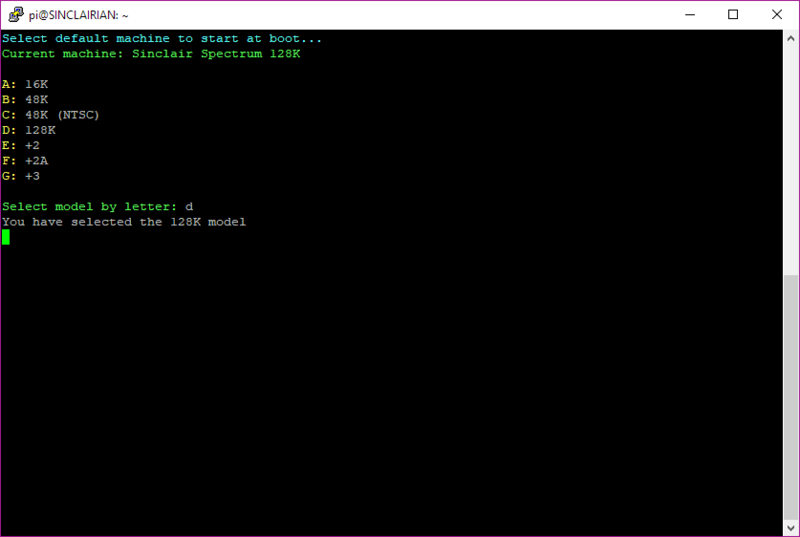 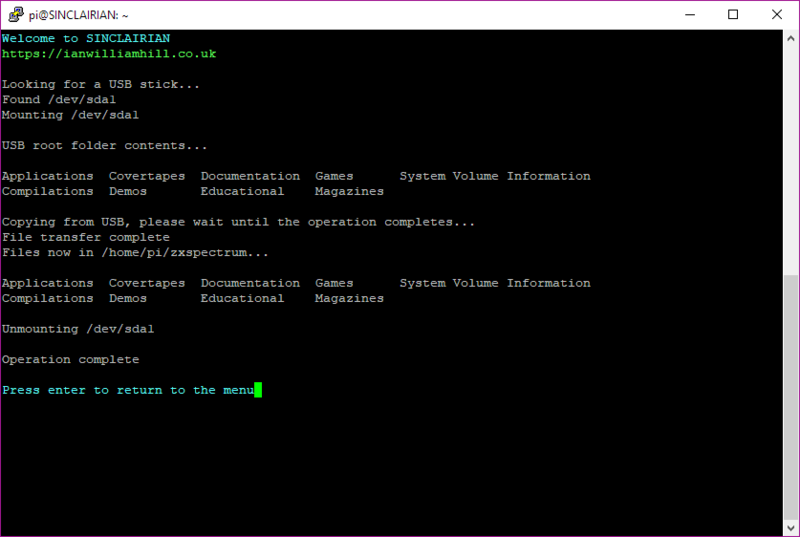 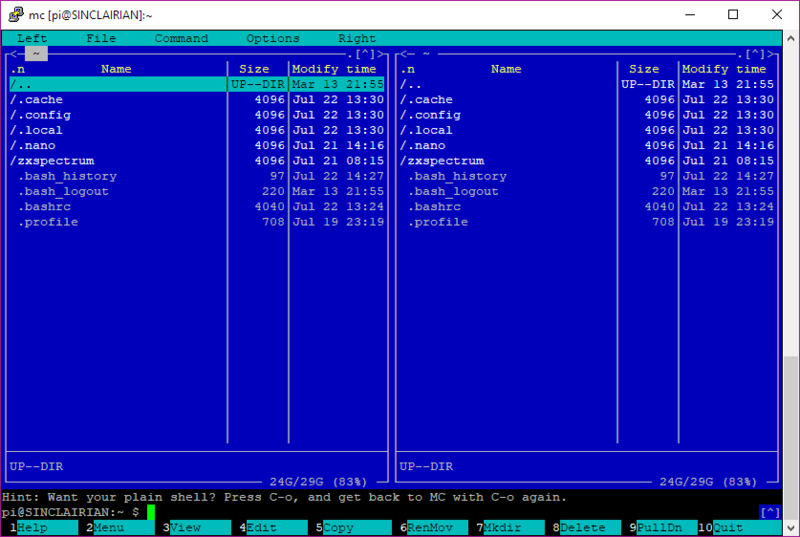 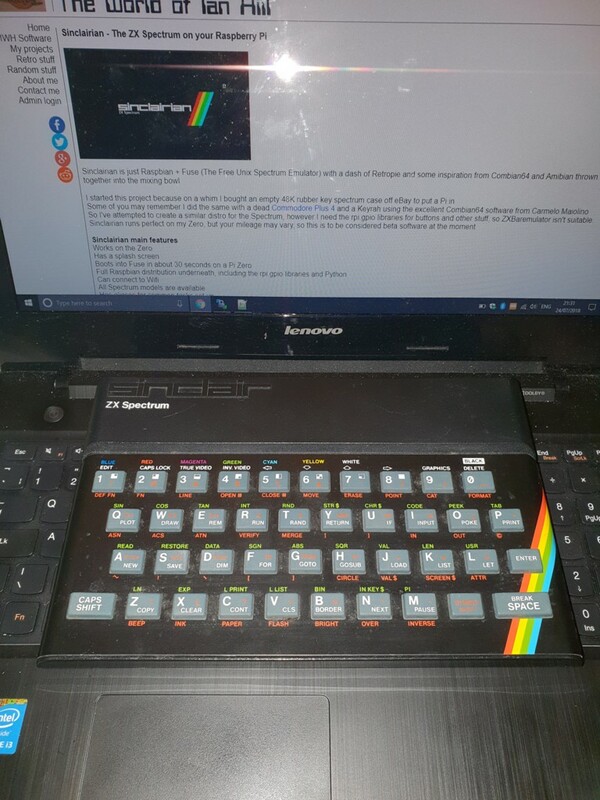 So I've attempted to create a similar distro for the Spectrum, however I need the rpi.gpio libraries, python, and uinput for buttons and other stuff, so ZXBaremulator isn't suitable. 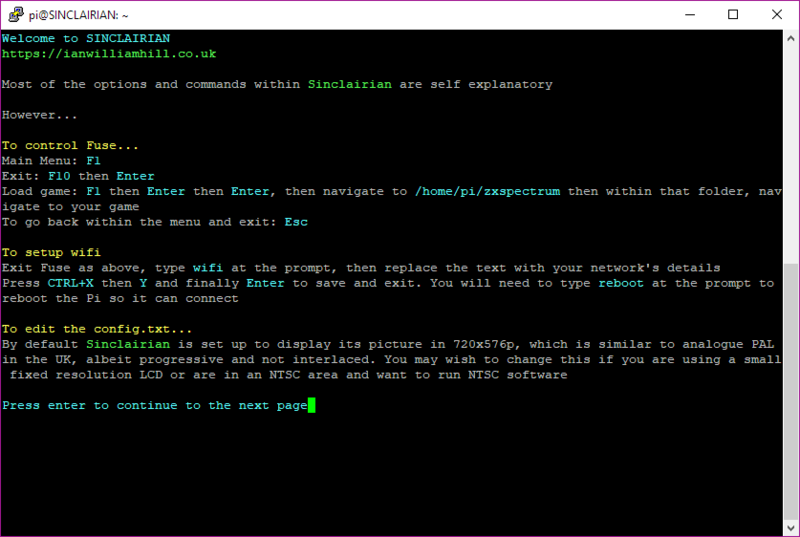 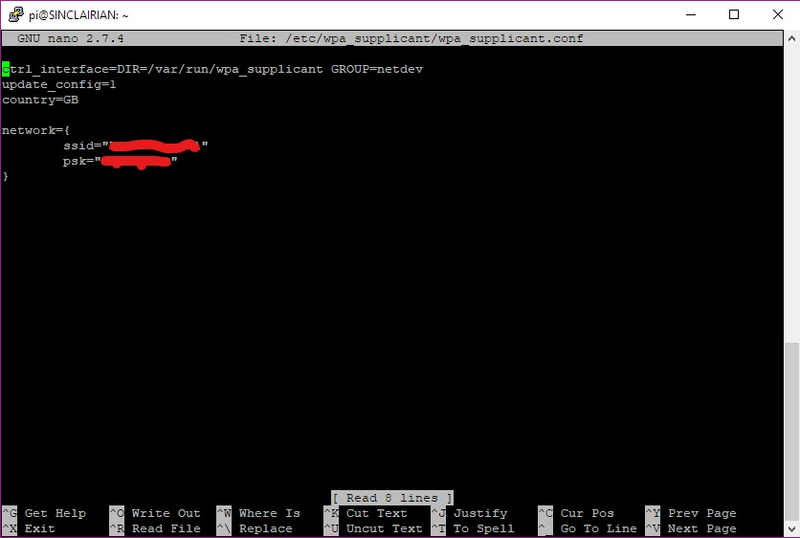 Typing wifi will load the nano editor with the /etc/wpa_supplicant/wpa_supplicant.conf ready for editing, although you can set up the wifi in raspi-config as well, which is accessable by typing raspi. 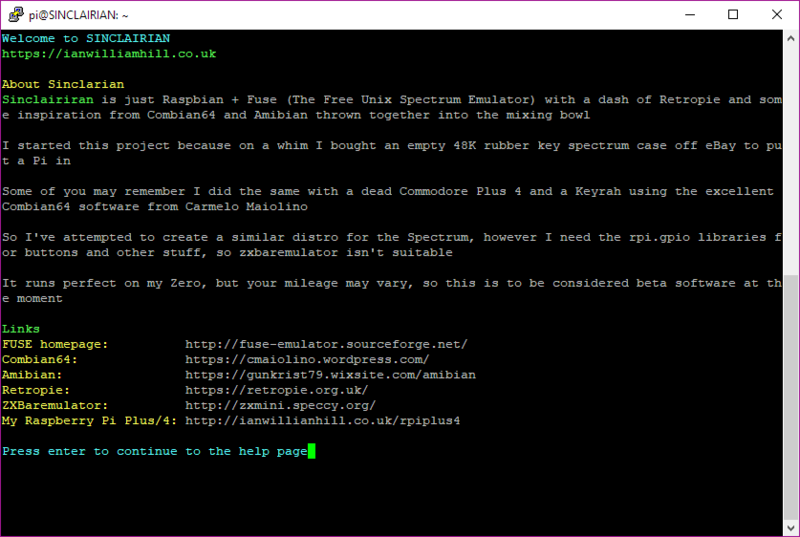 You may notice that I'm an idiot and took a screenshot with my details showing, which I then had to obscure.